Offering an early Paul Louis Salvan painting. 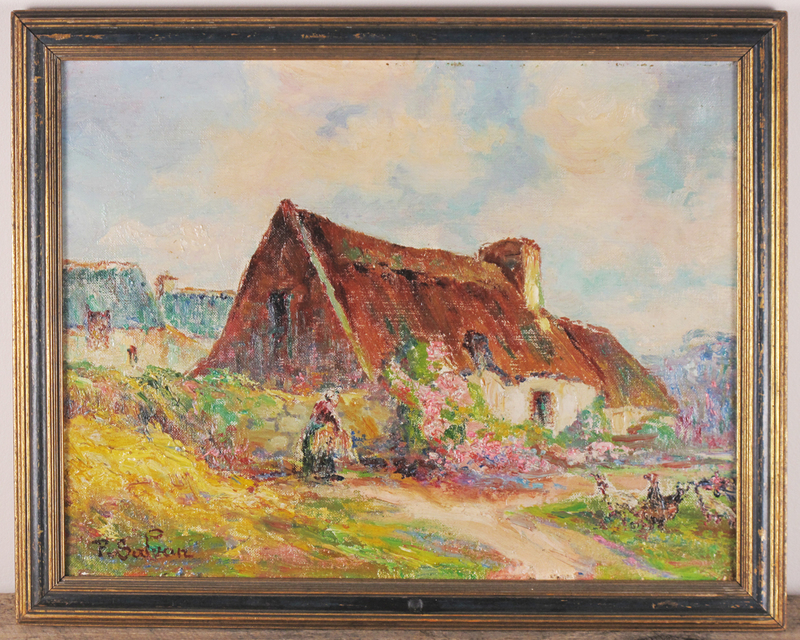 He’s a listed French painter and well sought by collectors. Definitely late 19th century and an early work for the artist. 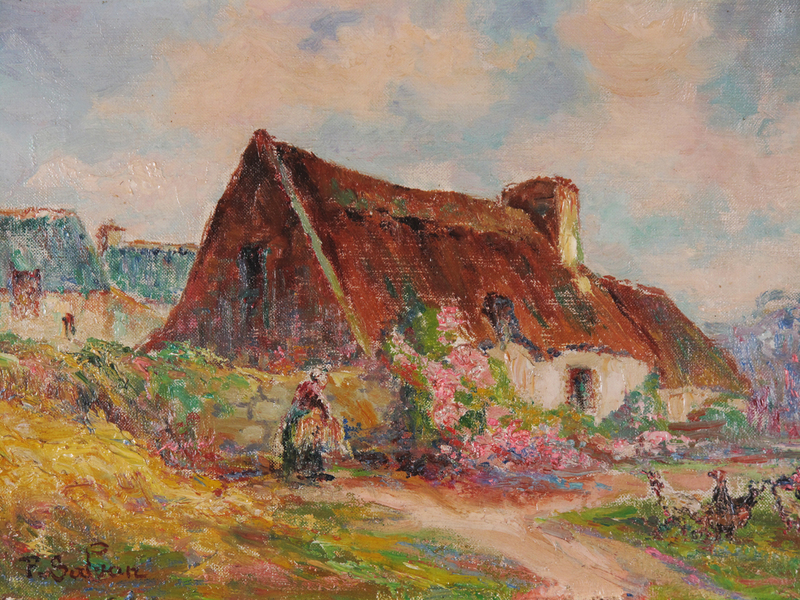 Impressionistic in painting style and of rural France, which was a favourite of many artists from the period. The colours are brilliant and the style is fairly loose, with a fine grasp of scale and composition. The painting is in fantastic condition, with no cracks or surface wear. The colours are bright and the painting is clean. The framing is likely original. The rear of the stretcher has the dimensions, 35cm x27cm and an anchor emblem stamped into the top stretcher. The frame does show typical wear to the gilt and black paint. Overall a fine little painting from a known French artist. A very nice piece! Please contact us for shipping and handling. International shipping is offered.